Day three saw us coming to Shiloh Baptist church in Henry County. Big thanks to Shiloh Baptist not only for hosting us but for all the great work they do for struggling families in the area. While we were there we witnessed dozens of families receiving free groceries, back to school supplies and warm meals. Our crowd was a little smaller but extremely engaged and excited about building the moral movement that Henry County needs. Lorraine Fontana kicked off the tour by talking about her long path from a northern Yankee with a passion for justice, to a southerner willing to go to jail to repeal Georgia’s stand your ground law and again to pressure Governor Deal to expand Medicaid in Georgia. Ron Allen, who joined Lorraine on both trips to jail, also talked about why he was willing to spend a night in jail to shine a spot light on injustice. Neil Sardana, the son of Indian immigrants, never though he would be willing to go to jail, but he shared that his conscious wouldn’t allow him to stand on the sidelines while Governor Deal denied healthcare to 650k Georgians. 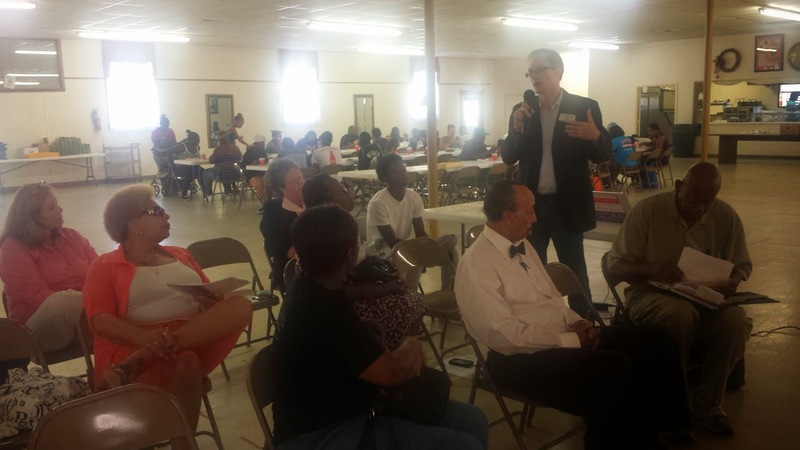 One of the most exciting things about our Henry County stop was the willingness of Henry County residents to start of Moral Monday group to begin building infrastructure for change that doesn’t exist there. Henry County is described as a commuter community, which means folks spend a lot of time driving to and from Atlanta. One struggle folks often have in commuter communities is capacity. The time poverty associated with a daily long commute means less time to get involved in the community, less time to connect with neighbors. One of the problems described by folks is that there are a lot of small groups initiating important projects and talking about great idea, but not a space where folks can come together. Our hoping is that a Moral Monday like coalition to make that space available, that is one of our goals for this tour, to bring groups that could be wielding more power together. Forward together, as we often say, means our destinies are connected. As at each stop before we ended with a call to join us on August 23rdfor a Moral March on Georgia. 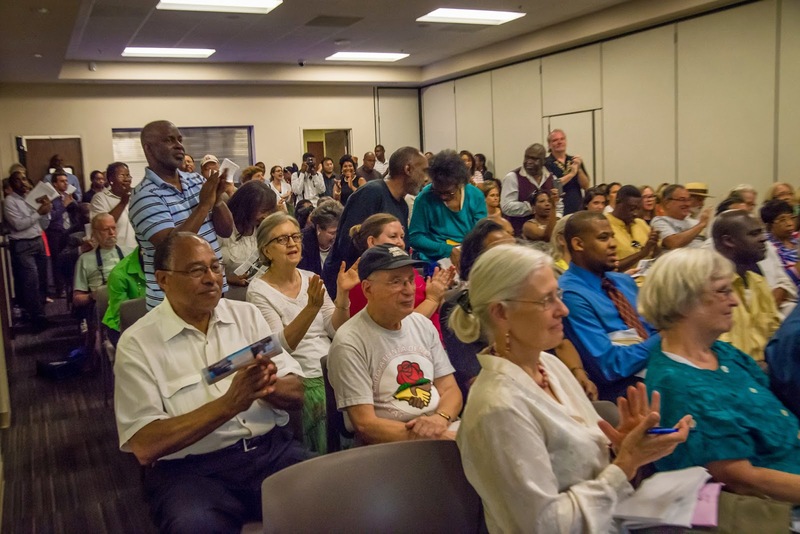 On Monday we officially kicked of the Moral Monday Jailed for Justice Tour to a jam packed house at Historic Ebenezer Baptist Church. The whole event was totally electric. Rev Raphael kicked off the event with a truly rousing talk on the need for a moral movement in the south. Senator Vincent Fort, Minister Karen Reagle, Peggy Casey, Emilia Kaiser, and Keota Jones all shared truly powerful stories about why they made the decision to put their bodies and freedom on the line to shine a light on injustice. Francys Johnson closed out the night with a call to action for folks to support the tour and come together on August 23rd for a massive Moral March on Georgia. The Moral March on Georgia is part of a southern wide strategy to build power against the extreme, economically insane policies that have seen our wages decreased, taken our jobs, seen our homes foreclosed and rent skyrocketed, our children’s education defunded, young black males criminalized and targeted, and our communities less safe. Over the course of the next 16 days we will be bringing Georgians together in 16 cities forge relationships and build the Moral movement Georgia needs. Another Georgia is possible, a Georgia that prioritizes people of politics and profit. Moral Monday Georgia has a different set of priorities. Plug into the tour across the state, see where and when we will be over the next few weeks! As Moral Monday Georgia prepares to begin the Jailed for Justice Tour, I cannot help but reflect on what an amazing opportunity Moral Monday has been for me so far, and what is to come in the future. Moral Monday changed the way that I looked at my mission in life. You see, I never really considered myself an organizer or an activist. I never gave much thought to labelling what I have always wanted to do. I saw things that were wrong, and I knew I needed to help changed them. In that process, a key component was to excite other people to help change it with me. Joining the AFSC family has meant the platform, training, and support that I needed to pass on that message to others. AFSC is giving me the tools to turn my passion into change. I have been all over the world but I have found a home in Georgia. This is where my heart lays, this is where my passions have been ignited, and this is where I have decided to take a stand. I will take a stand when the legislator’s attack us, when they fail to protect us, when extremists try to turn us back; I will take a stand because united we will make our home a better place. From a very young age I have always been taught that we have the power as the people to change what is wrong in the world. If I do nothing else with my life I would be satisfied having passed that feeling and idea of power on to others. The people united will NEVER be defeated and together we will change the world. As long as we know that to be true, and put it into practice, it will be a reality. AFSC has made putting that into practice my reality. Joining the staff has given me the platform to bring my ideas and passion to the fight for a new Georgia. So thank you AFSC, for the opportunity to learn, grow, and share my message. Moving forward together, gives us the power to change everything. 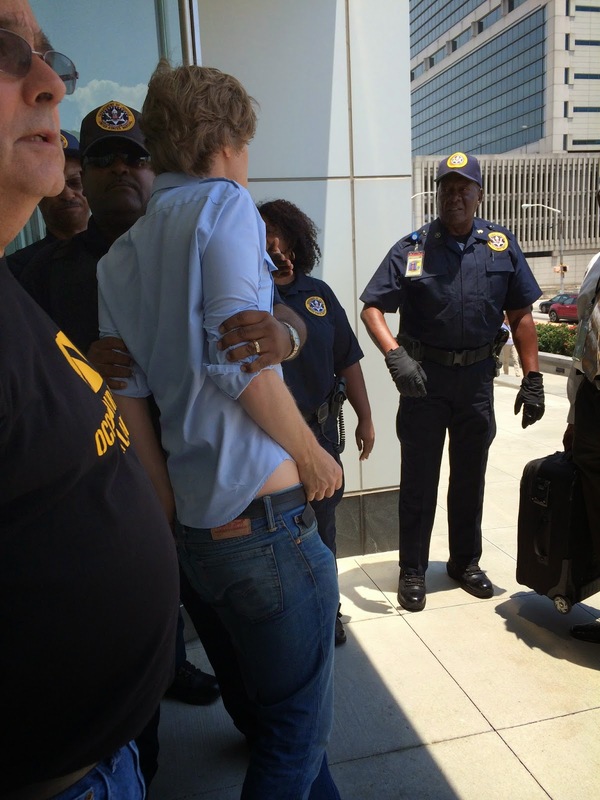 To hear more about my story, and why I took decided to take three arrests with Moral Monday, join us on the Jailed for Justice speaking tour. Don’t miss the first stop by RSVP’ing today here. The Moral Monday Georgia Coalition, the NAACP-led multi-racial, multi-issue advocacy group, will be hosting an event in partnership with HistoricEbenezer Church, American Friends Service Committee and others at EbenezerBaptist Church, 407 Auburn Avenue on Monday July 28th at6:30pm. 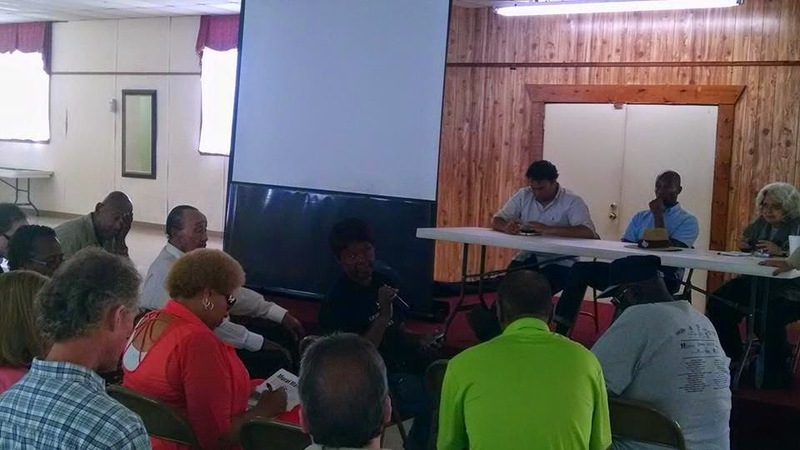 This event is part of the Jail for Justice Tour, a state-wide, 16 city tour hosting daily events across Georgia from July 28 through August 12th. These events are intended to bring the group’s message from the capitol to the rest of the state. 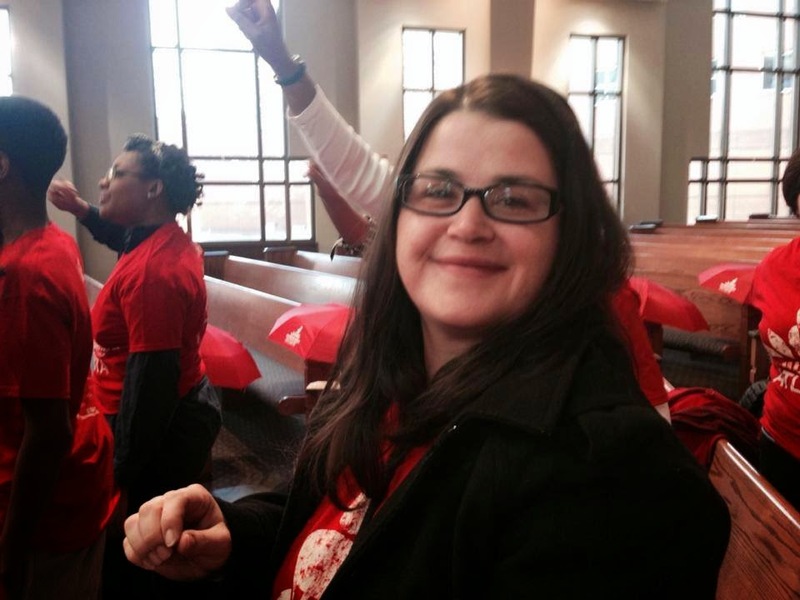 Each stop will feature a different line-up of three-five Moral Monday GA arrestees who will discuss their choice to go to jail in the pursuit of social justice. Tonight's event features Rev Raphael Warnock, NAACP Ga President Francys Johnson, Senator Vincent Fort, Minister Karen Reagle, Peggy Casey, and Keiota Jones all of whom are Moral Monday Arrestees. Modeled on the North Carolina NAACP's Forward Together Movement led by Rev. William Barber, Moral Monday Georgia is broad based coalition of churches, mosques, labor unions, teacher’s organizations and progressive groups. 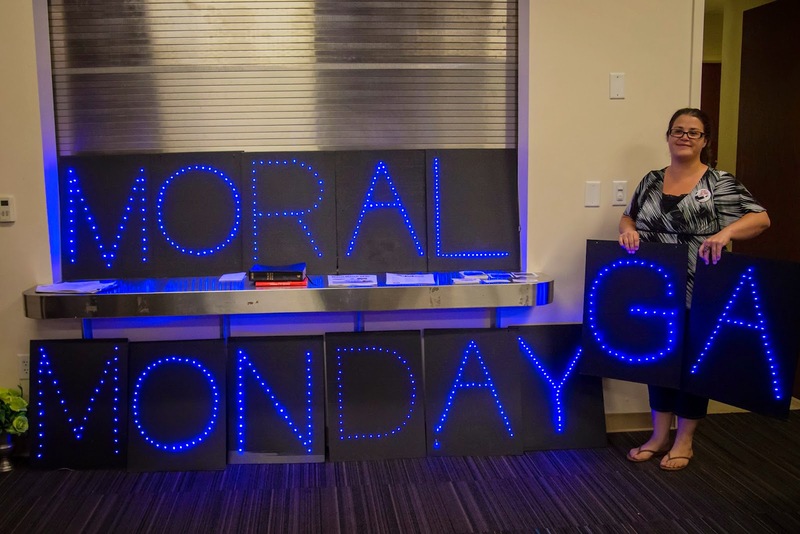 Moral Monday GA is a continuation of North Carolina’s movement to shift Southern politics toward a moral center where civil and human rights are protected and advanced. 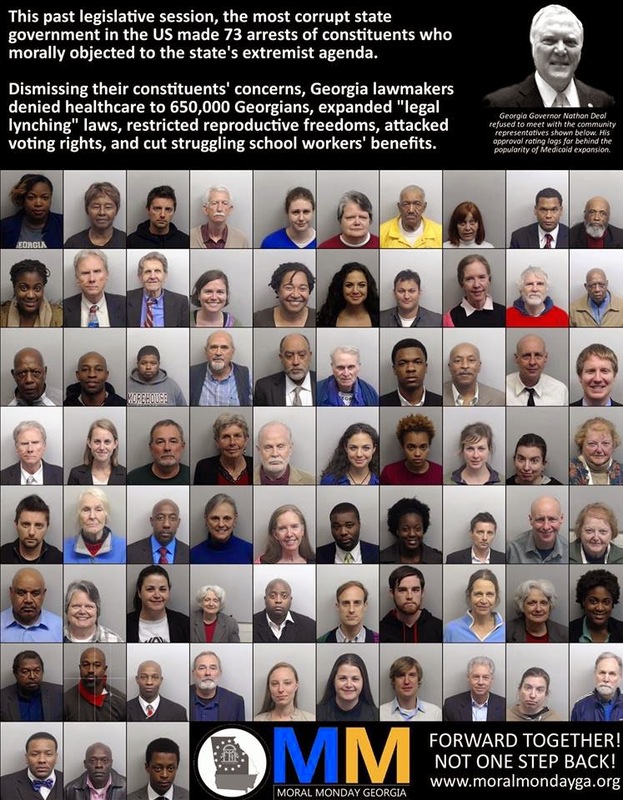 During the 2014 Georgia legislative session, Moral Monday brought a national spotlight on the repressive laws being passed by the General Assembly. The movement drew attention to issues from Medicaid expansion and Stand Your Ground laws to reproductive justice and workers’ rights through a series of dynamic actions, including rallies and voter registration as well as mass civil disobedience. The arrestees—72 over the course of the session--came from all generations, backgrounds, races and religions. Elected officials and prominent faith leaders also participated in civil disobedience, acting as moral witnesses against the corrupt actions of the current administration. For a list of all the tour stops click here. The American Friends Service Committee (AFSC) joins our voice with those who say that violence and killing must end. But calling for an end to current violence is not enough. Peace is more than the absence of outright war—it requires the presence of justice, of equality, of recognizing our common humanity. We must work to end the coercive and corrosive control of Palestinians by Israel, and to transform the systems that are perpetuating injustice and death. Since mid-June, when three Israeli youth were kidnapped and Israel launched a campaign of collective punishment in the occupied Palestinian territory, Israel has carried out bombing attacks against Gaza, while Palestinian factions fired periodic rockets into Israel. On July 18, Israel launched a ground invasion in the Gaza strip. Over 680 Palestinians and 35 Israelis have been killed. 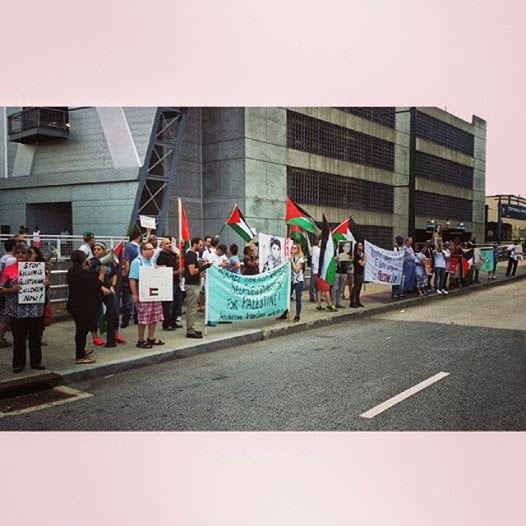 As the situation in Gaza unfolds, we will bring you AFSC's latest statements, resources, and stories from the people affected by the conflict, and ways that you can take action. Today American Friends Service Committee joined struggling DeKalb residents and members of Occupy Our Homes Atlanta to hold a press conference and deliver a letter to acting Sheriff Jeff Mann. The reason we were hand delivering the letter was because Sheriff Mann's office received about a dozen calls from us asking for a meeting to discuss the issue of heavy handed eviction procedures. When we showed up to the door to deliver the letter we were stopped in the doorway. An officer told us that we could crowd the rather large, totally empty lobby because the building was open for peoples legitimate business. We explained that we were there for legitimate business. We were forced to share our concerns outside the building and deliver the letter to one of Jeff Mann's deputies. DeKalb County deserves better. 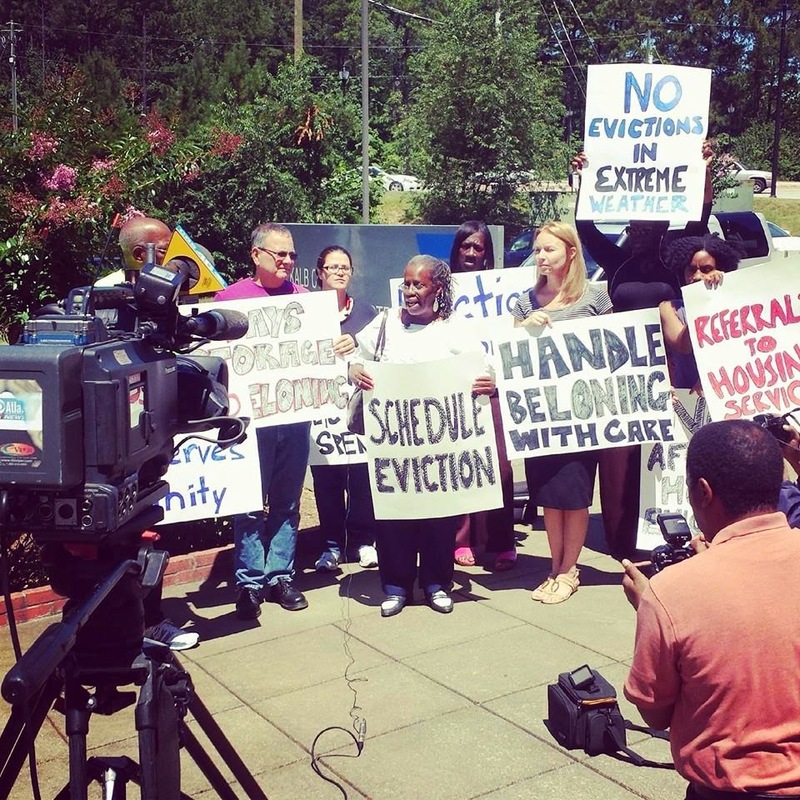 We are deeply concerned at the alarming number of foreclosures and evictions in DeKalb County. A recent study by the Haas institute shows that DeKalb County is home to 6 of the top 15 Counties in the country for homeowners with underwater mortgages. We know the Sheriff has little power over the foreclosure process but you do have a tremendous amount of power when it comes to the eviction process. Eviction can be one of the most humiliating, dehumanizing experiences a person ever faces and there’s simply no way one can make it a pleasant process. We are aware that as recently as last week you had 30 Sheriff Deputy’s evict a struggling family simply because they had launched an online campaign against her mortgage servicer for wrongful foreclosure. There are policy’s that are working in counties in Georgia and around the country to make the process easier to move through for struggling residents. We have attempted to create dialogue on these issues for several month with no success. For this reason we have decided to bring our recommendations right to your office and we truly hope you will not only consider them, but that you will follow up with us and our members. Many counties and states around the country schedule evictions. We already know that evictors have to schedule eviction with moving companies, why not schedule evictions with the resident. As things stand now residents are subject to a knock on the door at any hour. Scheduled evictions allow residents the final reminder of the coming crisis at hand and gives them a last chance to secure their own belongings. Going through the evictions process means immediate homelessness for some, it also means all of your life belongings are put out on the street in the elements. 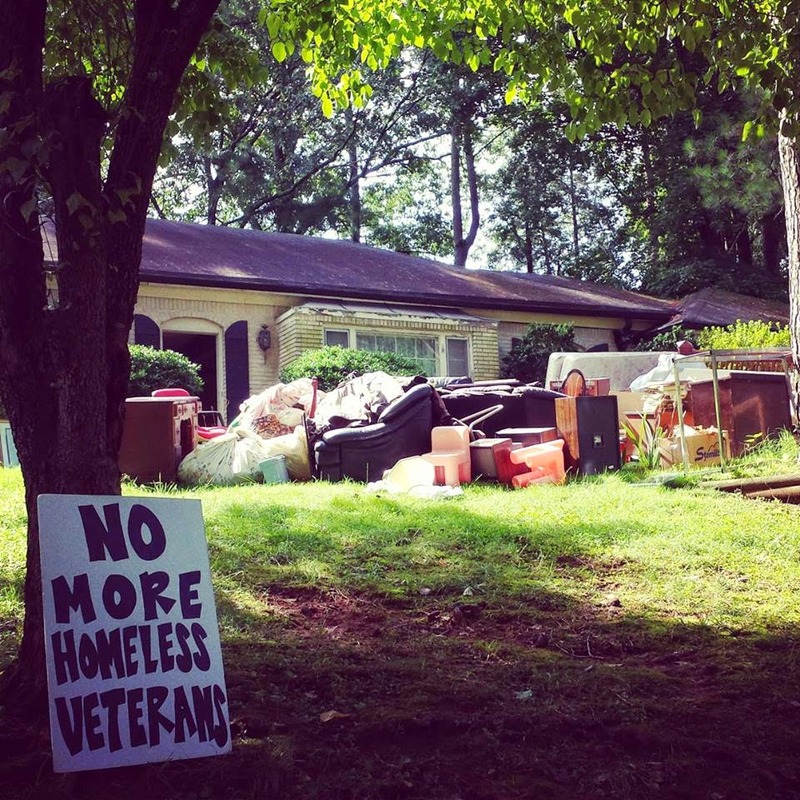 Many counties will not do evictions in freezing, raining, or 100 degree weather. Evictions can bring an enormous cost the county. The banks and private equity groups that do most of the evicting make an enormous profit. In many counties the evictor pays for the process, in some cases counties put a cap on what they will pay for. One of the most dehumanizing parts of the eviction process is having your things dumped in the front yard. Not only are families immediately faced with the prospect of having nowhere to go, they also have to protect their belongings. 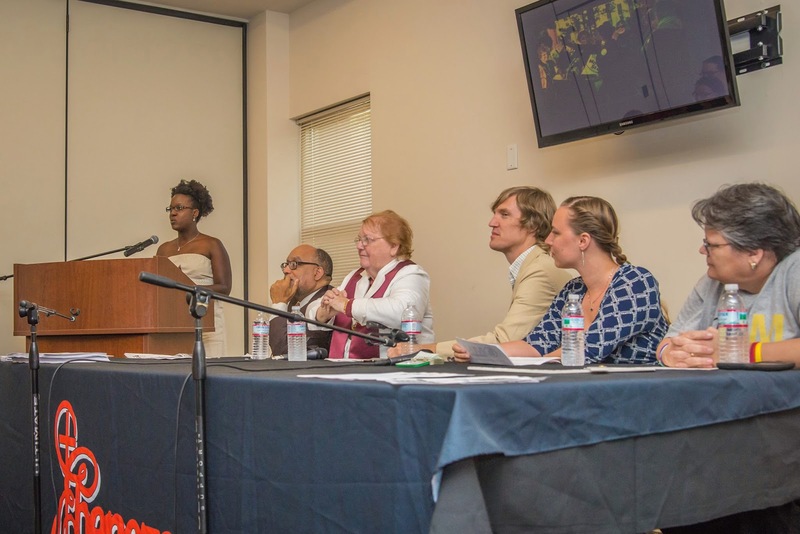 Furthermore this process is bad for the whole community, effecting the financial and spiritual value of the neighborhood. Many counties, and some states, require the evictor to pay property to be moved to a storage facility for at 30 days. Often times peoples belongings are destroyed or stolen during the eviction process. We hope that as Sheriff you are able to facilitate stringer accountability for your constituent’s belongings during the eviction process. Many facing evictions have now where to go. As a point of policy it would be fairly simple to provide those being evicted with a comprehensive list of service providers in the area. 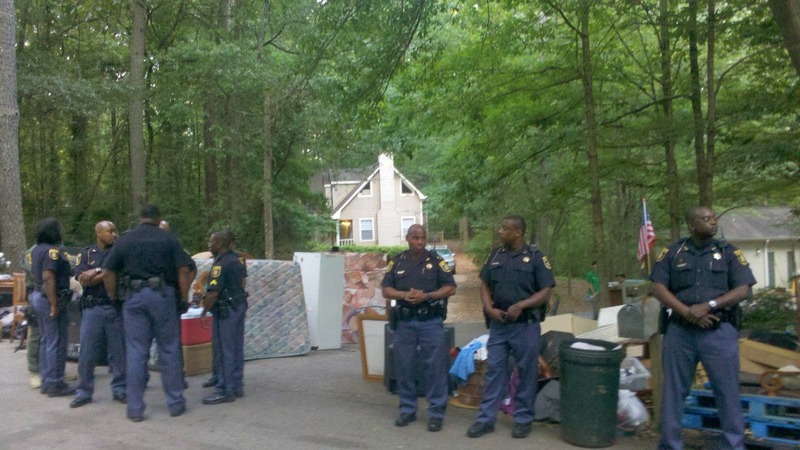 After months of attempting to create dialogue with acting Sheriff Jeff Mann around troubling eviction policy’s which include afterhours evictions, excessive force, and alleged theft of evictees personal property, DeKalb residents plan to bring concerns and eviction policy recommendations to the Sheriff’s department tomorrow(7/16) at12pm. DeKalb County is home to the zip codes of 6 of the 15 highest rates of underwater homeowners in the entire country according to the Under Water America report published by the Haas Institute. 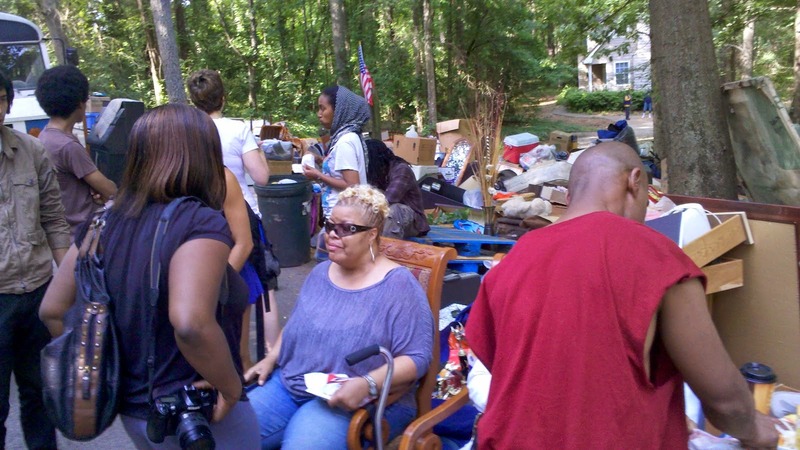 Occupy Our Homes Atlanta continues to be overwhelmed by the number of DeKalb County residents in immediate housing crisis. There is a clear moral imperative to make the eviction process more humane for folks going through a very difficult time in their lives. 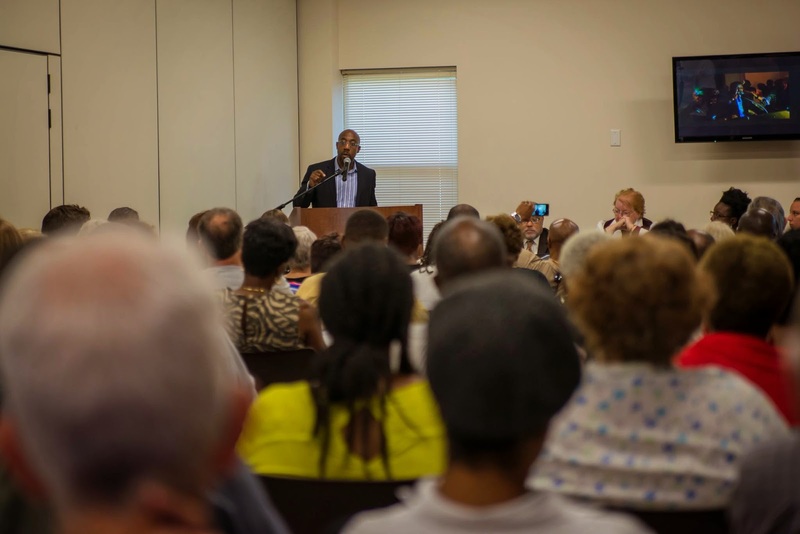 In our attempt to reach out to both Sheriff candidates Vernon Jones committed to enact a six month moratorium on evictions in DeKalb County and appoint a committee to make recommendations on changing the eviction process in the county. Tomorrow American Friends Service Committee joins DeKalb residents and Occupy Our Homes Atlanta as we deliver a letter to acting Sheriff Jeff Mann that includes practical recommendations that are already working in other parts of Georgia and the rest of the country. Many counties and states around the country schedule evictions. We already know that evictors have to schedule eviction with moving companies, why not schedule evictions with the resident? As things stand now residents are subject to a knock on the door at any hour. Scheduled evictions allow residents the final reminder of the coming crisis at hand and gives them a last chance to secure their own belongings. One of the most dehumanizing parts of the eviction process is having your things dumped in the front yard. Not only are families immediately faced with the prospect of having nowhere to go, they also have to protect their belongings. Furthermore this process is bad for the whole community, effecting the financial and spiritual value of the neighborhood. Many counties, and some states, require the evictor pay for property to be moved to a storage facility for at least 30 days. Often times peoples belongings are destroyed or stolen during the eviction process. We hope that as Sheriff you are able to facilitate stronger accountability for your constituent’s belongings during the eviction process. For thousands of years, Gaza has been an important seaport and trade community, exporting agricultural produce to other areas of historic Palestine and serving as a way station for traders traveling along the Egypt-Syria trade route. Located in the southwest most corner of historic Palestine, Gaza is home to a wealth of natural resources including fertile agricultural land, rich fishing grounds, and large offshore natural gas reserves. Gaza also has beautiful beaches, a rich history, and a moderate climate, all of which make it a potentially attractive tourist destination. Add to this a highly educated and youthful population (60 percent under the age of 18, and over 40 percent age 14 or younger), and you might expect that Gaza’s development prospects were positive. Unfortunately this is not the case. 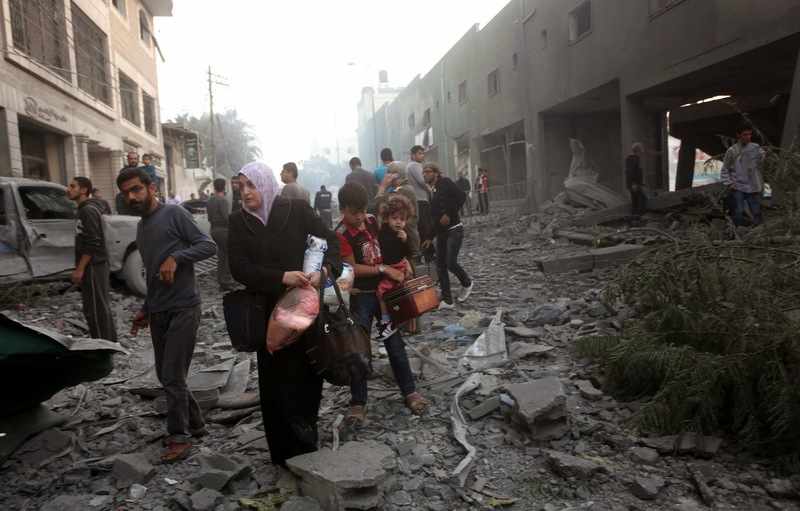 Gaza’s wealth is largely unreachable as a direct result of Israel’s occupation and blockade. Most agricultural land is located in places declared closed military areas (“no go” zones) or has been destroyed during military attacks. 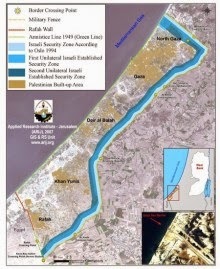 Access to traditional fishing grounds is restricted by the Israeli navy. Development of the natural gas reserves is forbidden by the Israeli government. All of this while the movement of people into and out of Gaza is severely restricted and both the import of goods and the export of products from Gaza is strictly limited. Military attacks over the last 13 years have also resulted in the near complete destruction of Gaza’s business and manufacturing base. As a result, the unemployment rate among Gaza’s 1.7 million residents is over 35 percent and poverty rates are even higher. More than 80 percent of the population is now dependent on international assistance for survival. Yet the people of Gaza have not lost hope, continuing to dream about and work for a better future. Today I joined struggling homeowners and those who have been displaced in from their homes to peacefully deliver a petition to the US Attorney’s office asking them to push for the 4 billion dollars that are supposed to go to struggling Americans from the recent Chase Bank settlement. We were greeted by Federal Marshalls who harassed our group and attempted to bar anyone with our group from entering the public building. At one point Marshalls began a second line in the building for “regular” citizens as we were told we couldn’t enter, this is of course a gross violation of our rights. When we attempted to enter the building I stated that if officers believed I was breaking the law by entering I would certainly not resist arrest and they were under no threat of violence from me or anyone else in the group. 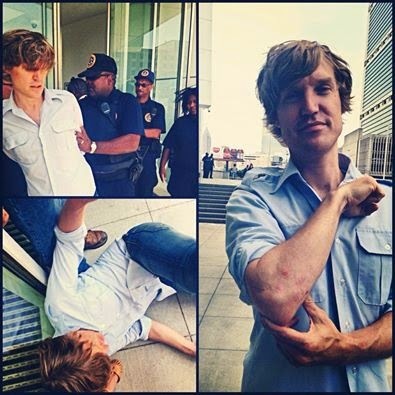 An officer immediately grabbed me, threw me to the ground and kicked me in the side while I was down. I stood back up and the officer shoved me back onto the ground, this was repeated two more times until the officer restrained me. At no time did I resist, wiggle, yell, or do anything that could be perceived as aggression toward him or others present. Eventually the officer let go of me. Minutes later a representative allowed us to enter and do what we intended. 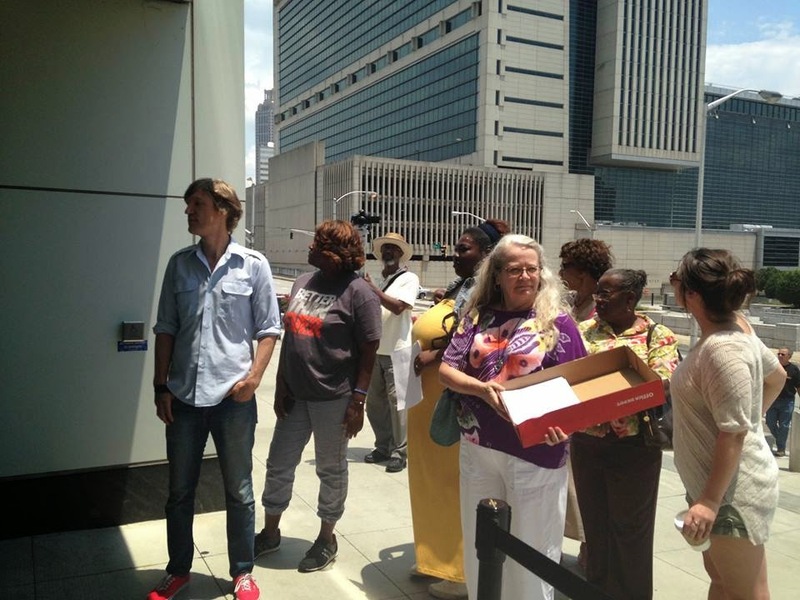 We were there to peacefully deliver a letter and petitions on behalf of thousands of homeowners, demanding to know what happened to billions of dollars in relief promised as part of the settlement with JP Morgan Chase. By contrast, Chase Bank CEO Jamie Dimon is able to walk right in to the Department of Justice and meet with Attorney General Eric Holder face to face with no issues. There is something very wrong with our system of justice in this country. Sadly this isn't the first time struggling homeowners and displaced Americans have been met with violence at the department of justice. We know we're in a crisis of moral and economic priority when the folks that have stolen wealth and homes from people are given private meetings with the highest officials while those that have been victimized by the thief's are beaten, bared from entering the building, and even arrested. This evening I will be submitting a letter to US Attorney Sally Yates asking her to meet with me and a few other homeowners to talk about what happened. Sign the petition & tell the DOJ not to let Wall Street off the hook again. 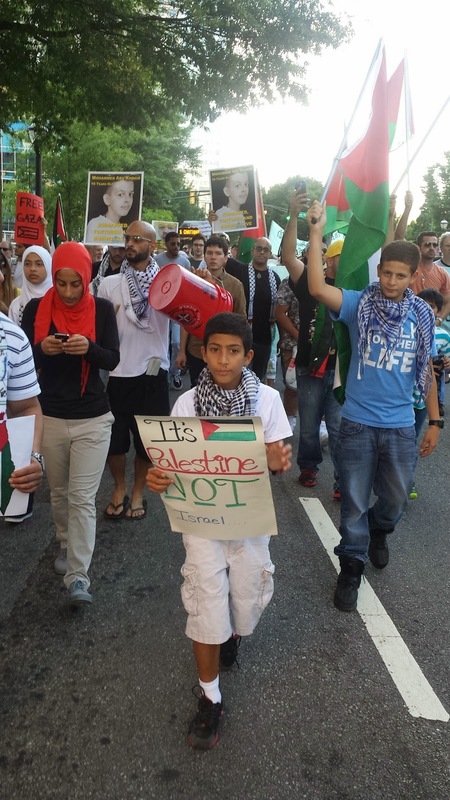 Today around 100 Atlantans gathered at Troy Davis Park (Woodruff Park) and marched to the CNN Center to protest the recent revenge killings of Palestinians by Israeli citizens and the Israeli Defense Forces (IDF). These killings can be seen in the wider context of the ongoing brutality of Israel’s military occupation, which has left six Palestinian children and twenty six Palestinian adults dead in 2014 alone. Now Israel and Israeli citizens are charging all Palestinians, void of evidence, of killing three Israeli teenagers. 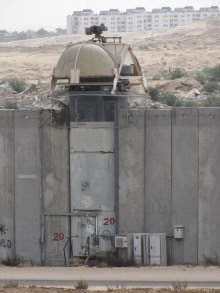 This purported crime against Israel has been used to justify dropping bombs on the Palestinian population that is living in open air prisons. While Israeli citizens have autonomy to travel openly, Palestinians are subjected to apartheid occupation and have very little freedom of movement for things such as, travel or work. Sadly, we continue to see Israel using collective punishment against an entire population for crimes which have not yet been fully understood. 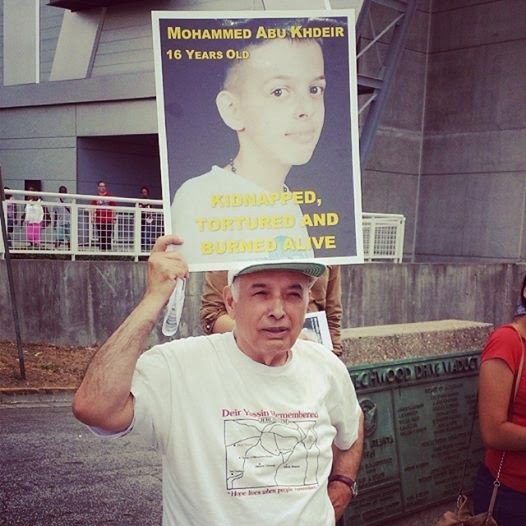 Today’s march was organized by The Movement to End IsraeliApartheid-Georgia is an Atlanta-based group dedicated to the global campaign of Boycott, Divestment and Sanctions (BDS) of Israel until it abides by international law and human rights and supported by a number of groups including American Friends Service Committee.